Valve Seat Grinding Machine Type:-MSD, Make:- Chris Marine available in excellent condition. Interested customers may feel free to contact us for any queries. By using this machine we can perform grinding process for engine valve seat area with automated features. 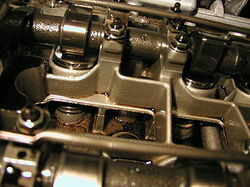 The fine auto-feed mechanism ensure good surface finish of valve seats. Light weight and sturdy construction enable ease of use and good grinding finish.